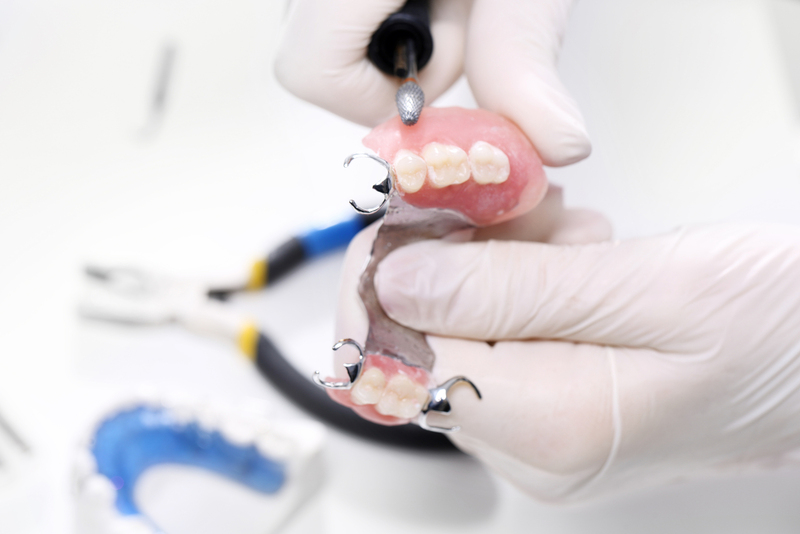 What are the Different Types of Materials for Making Dentures? Dentistry professionals have developed dentures for a number of reasons: to replace missing tooth, to help people smile with confidence, and to allow those who don’t have a complete set of teeth to chew. Dentures are made from different varieties of materials. There is no single best material that is suitable for everyone. The “best” will be determined by the patient’s case, and financial status. There are two types of dentures: the full dentures and the partial dentures. Dentistry experts make use of materials such as acrylic, alloys, and porcelain to make top-quality dentures. Certain metal alloys are usually used to frame an artificial tooth on the denture mount for the sake of achieving stability. If the metal mount is not properly sealed in the acrylic base, it can leave a metallic taste in the mouth of the person wearing the denture. In the past, Dentistry practitioners have developed porcelain dentures and this material is mostly used in full or complete dentures. Porcelain is a very durable material which does not break easily. The downside, however, is that porcelain may easily chip and it also creates a very audible clicking sound when the person chews. While some are fine with that sound, others get really annoyed by it.